A content management solution for self-running digital displays. Integrated with other SLE solutions for conferences and events, SLE Digital Signage allows organisers to deliver an-up-to-date information for participants onsite to enable them make informed choices of which session to attend when and where. Urgent notices including session delays, cancellations etc. Branding content for host organisations, partner and sponsor content. Create unlimited screen locations with self-running presentations predefined to run on any data in the future. 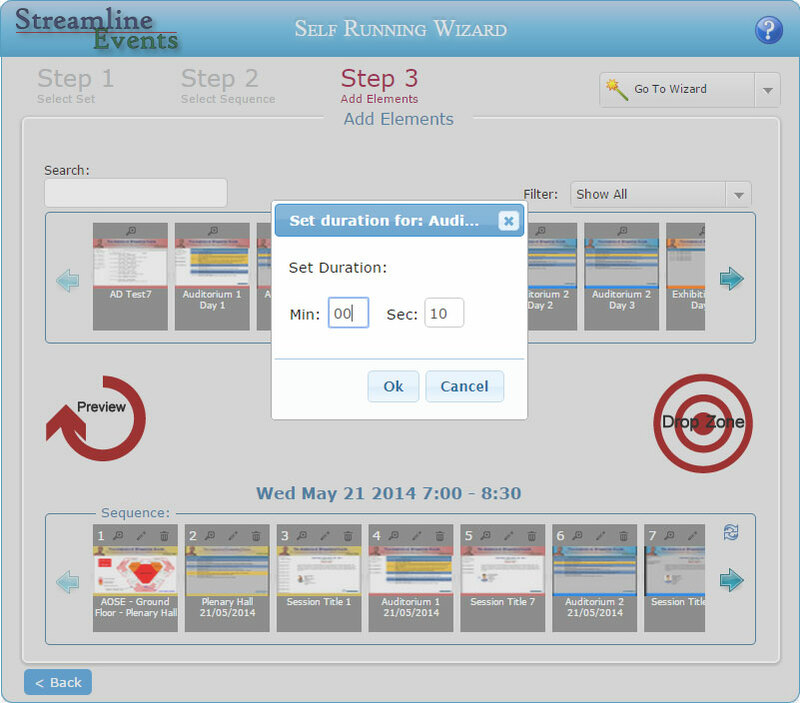 Create any number of timeslots for each screen location with a sequence of presentation elements. Add any number of presentation elements individual allocated a specific duration to a timeslot.